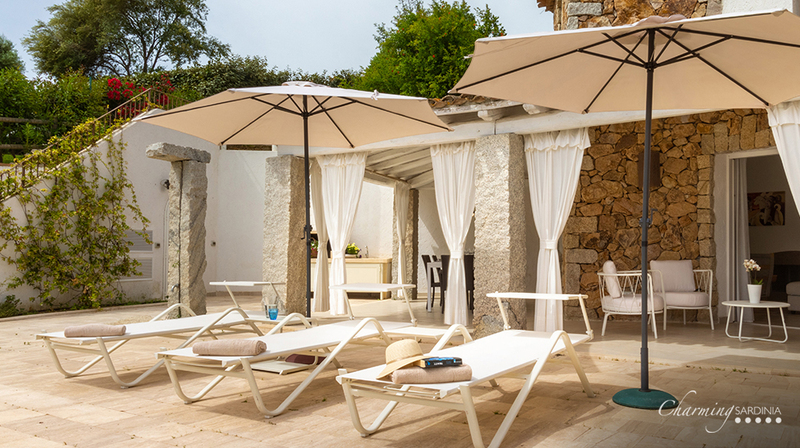 In the south-east coast of Sardinia, one of the most beautiful of the island, here is Castiadas. 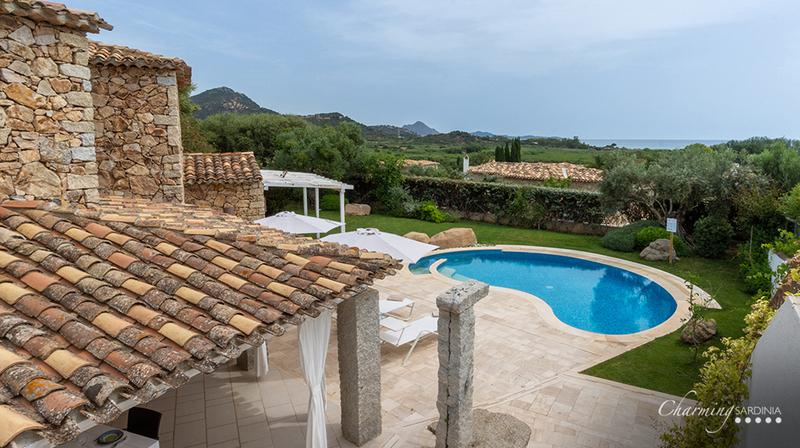 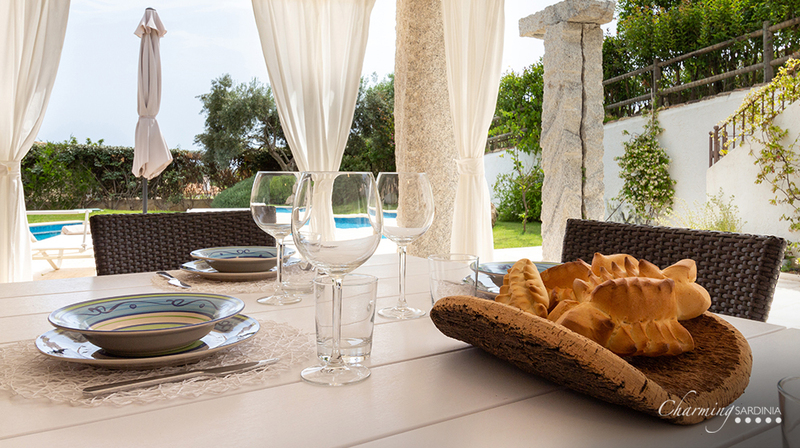 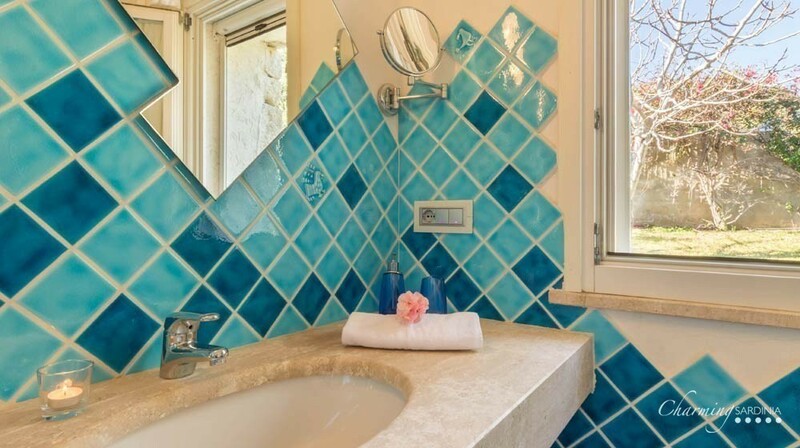 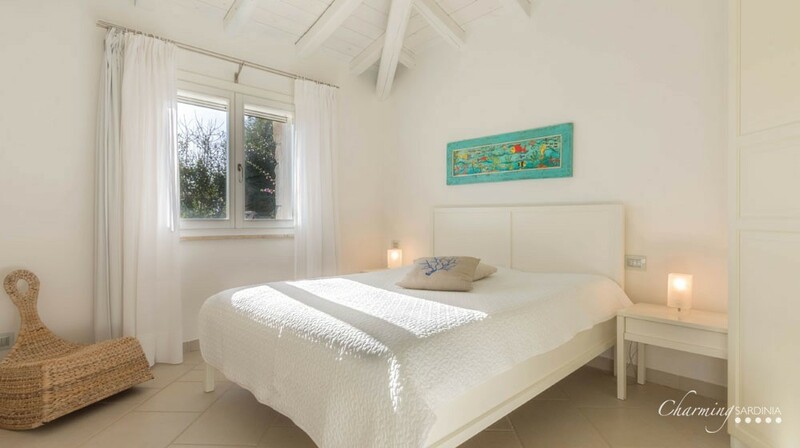 You will find a gorgeous housing estate of luxury villas out there, including Villa Ginestra. 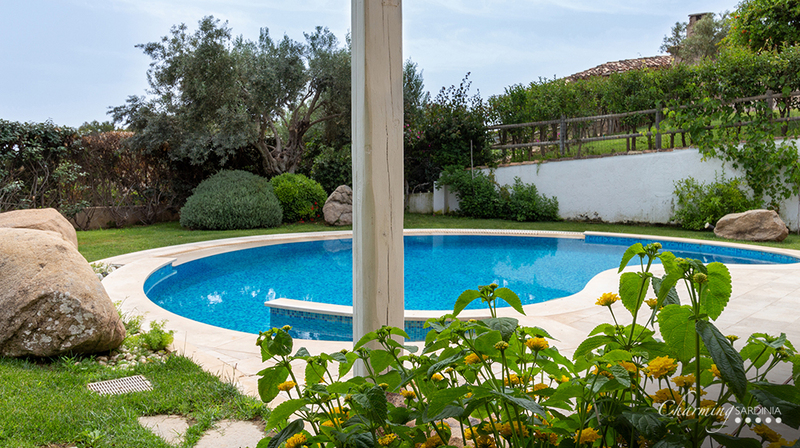 The Villa is immersed in a lovely garden covered in green, full of trees, plants and flowers climbing on pergolas. 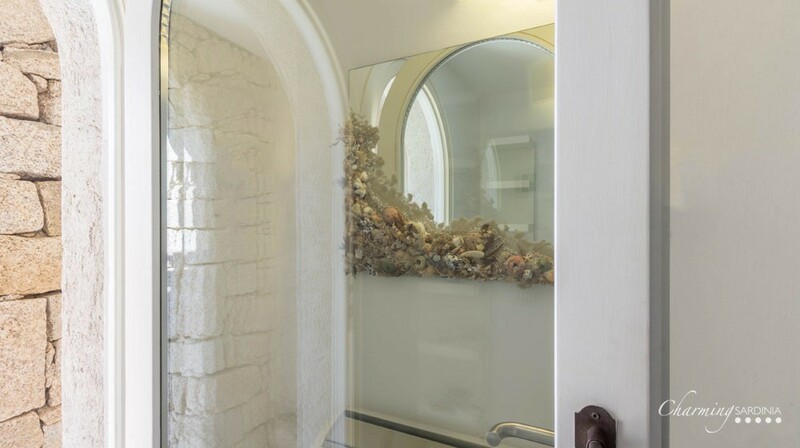 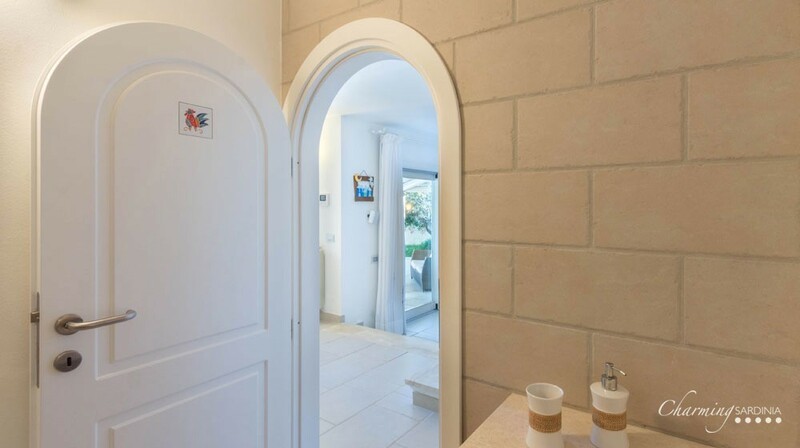 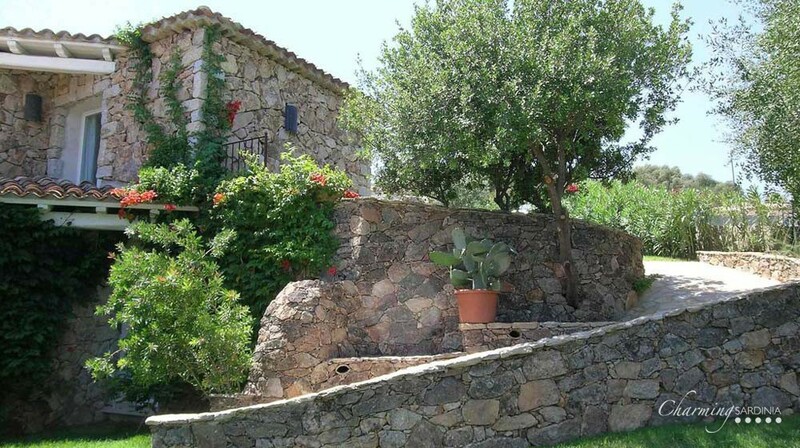 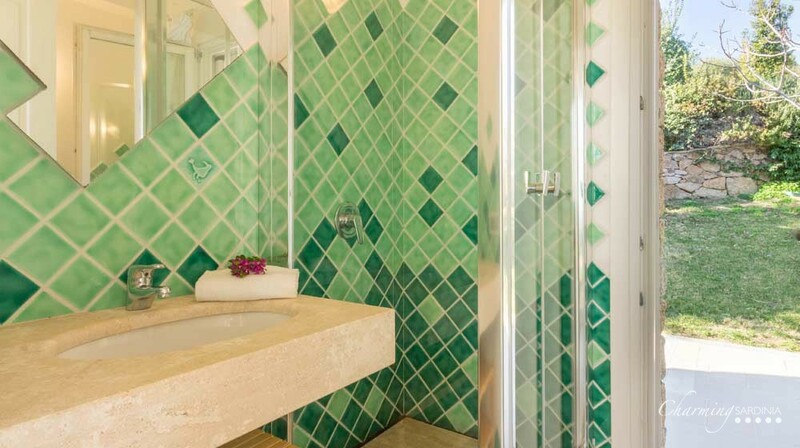 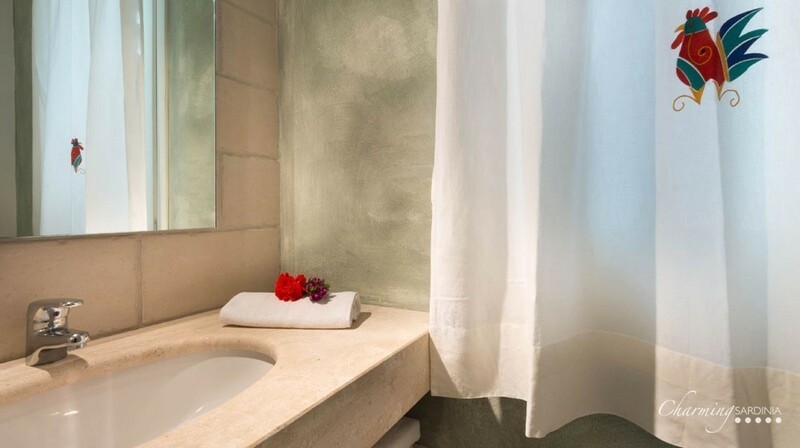 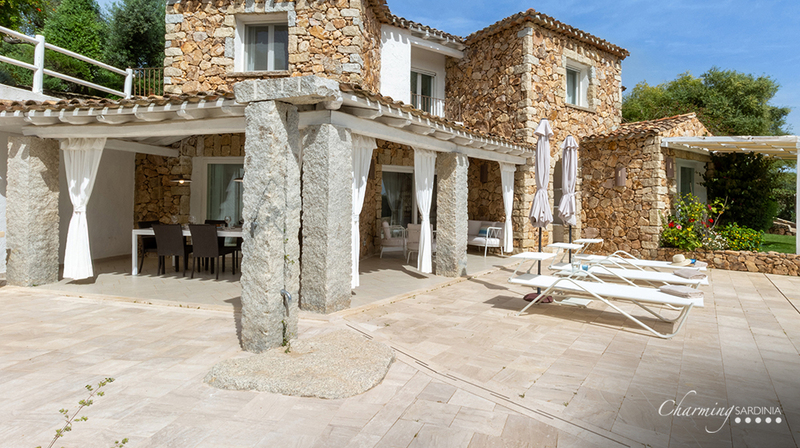 Rustic exterior walls made of stones, a decorative solution that embellishes the interiors of the Villa as well, making the place looking like a refined oasis of pleasure in a country style, but of great taste and elegance. 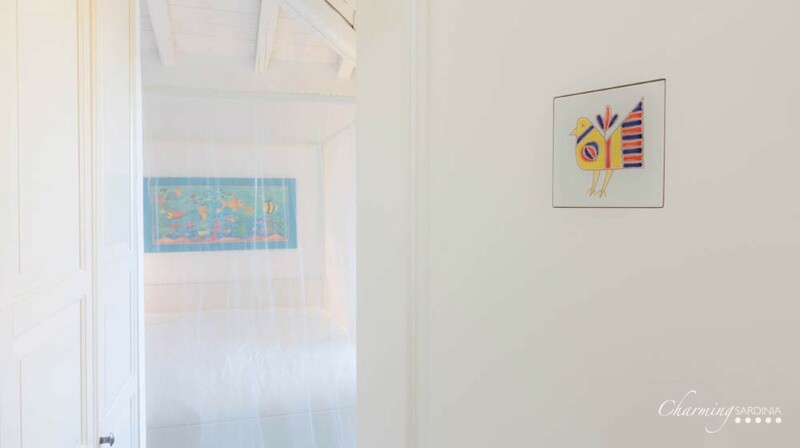 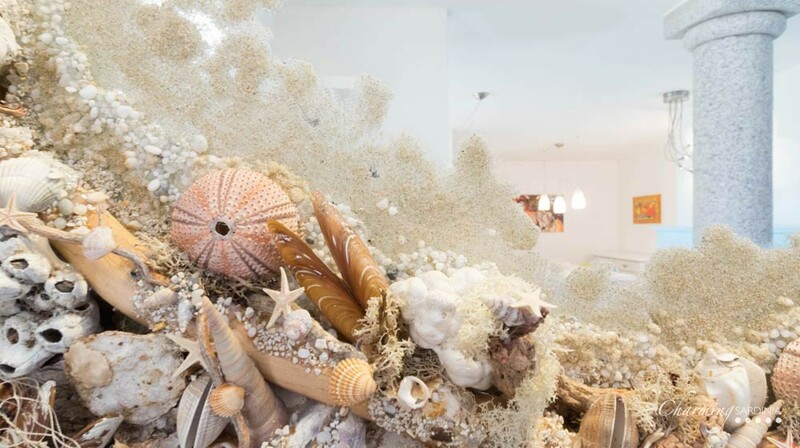 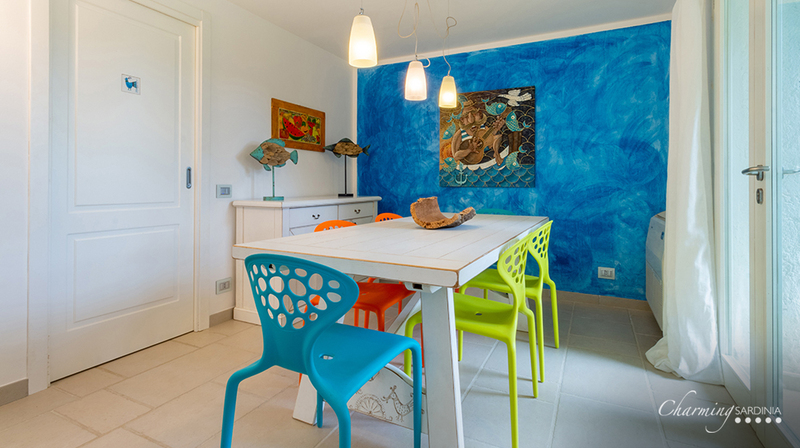 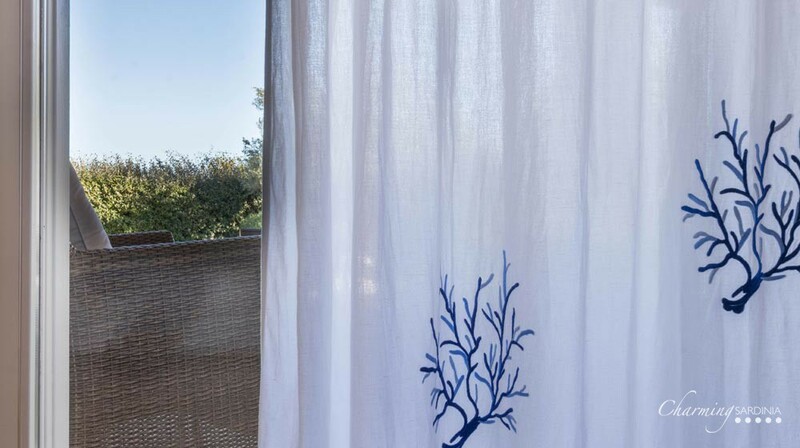 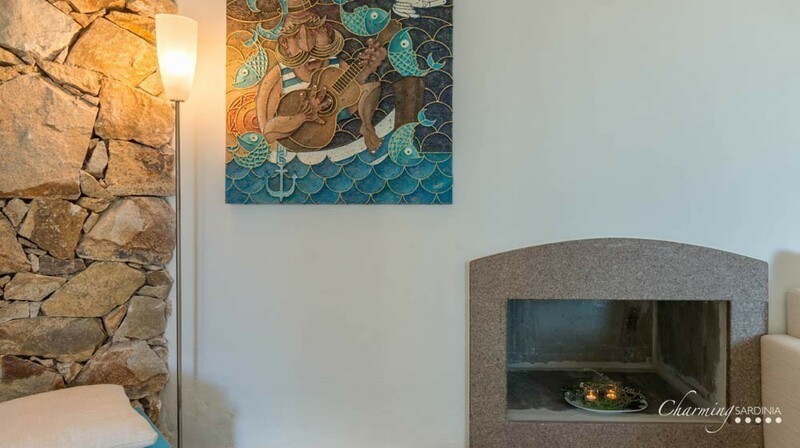 The furniture is modern and reminds to the fresh blue colors of the sea and the holiday, and it is also adorned by some typical Sardinian decorations. 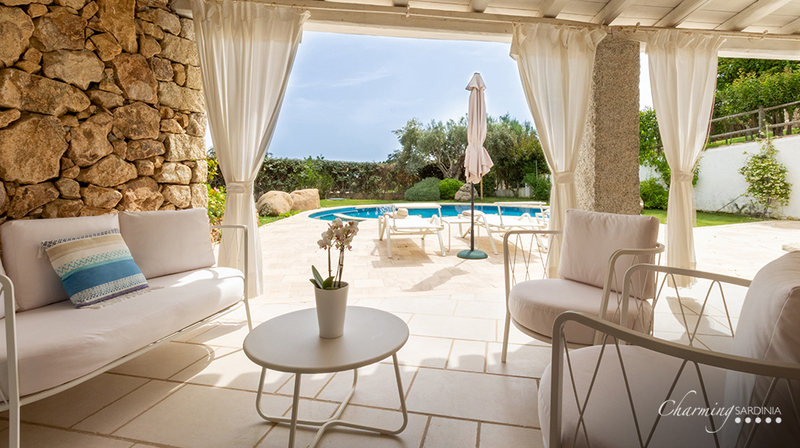 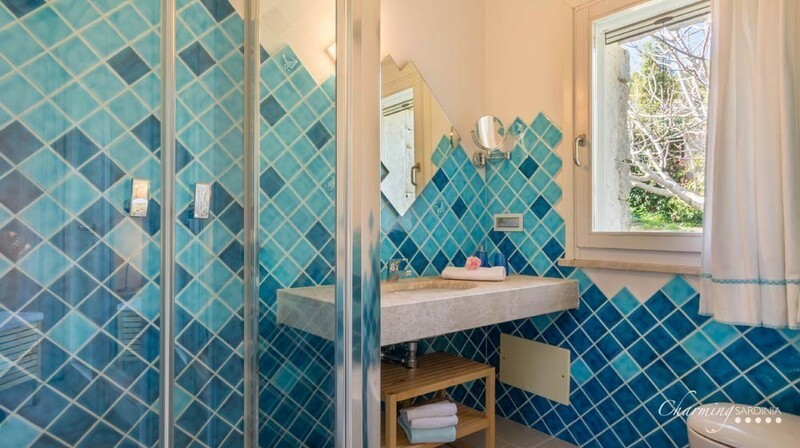 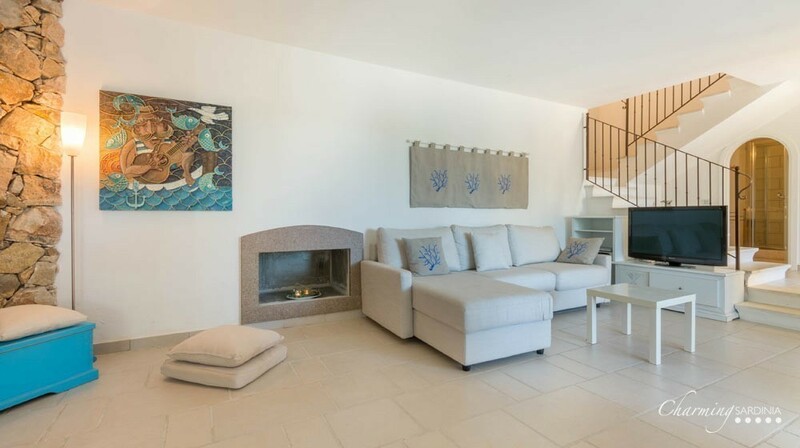 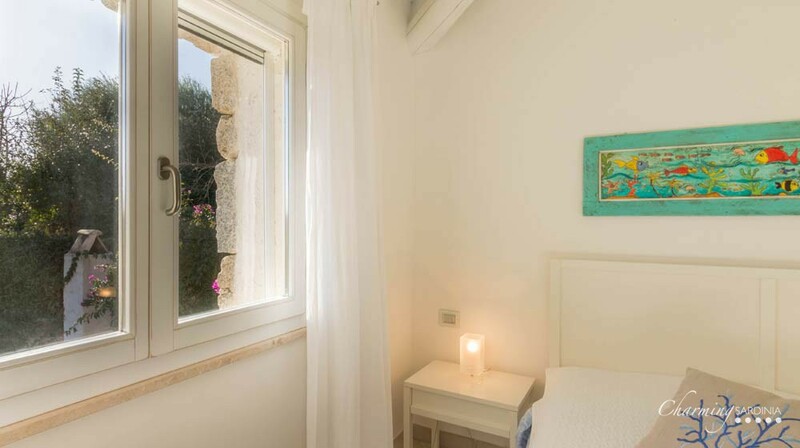 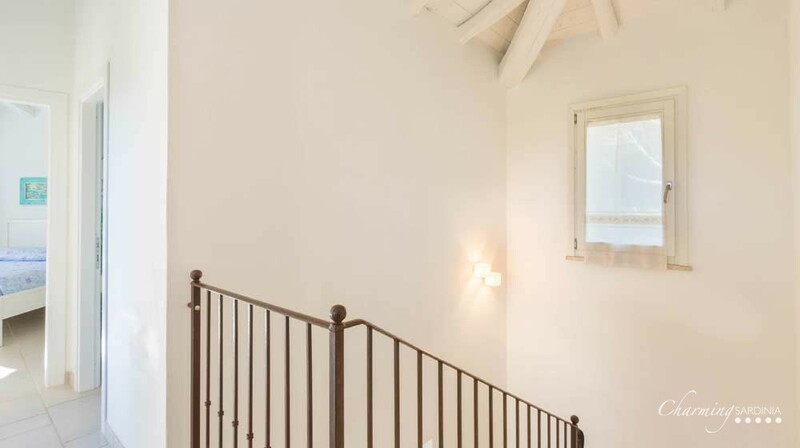 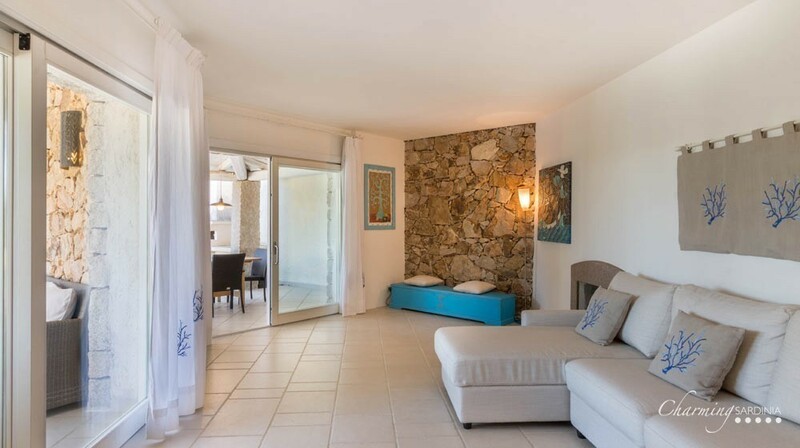 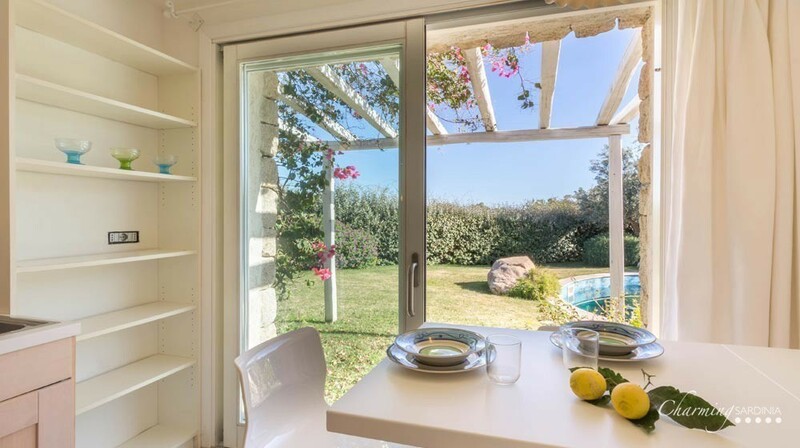 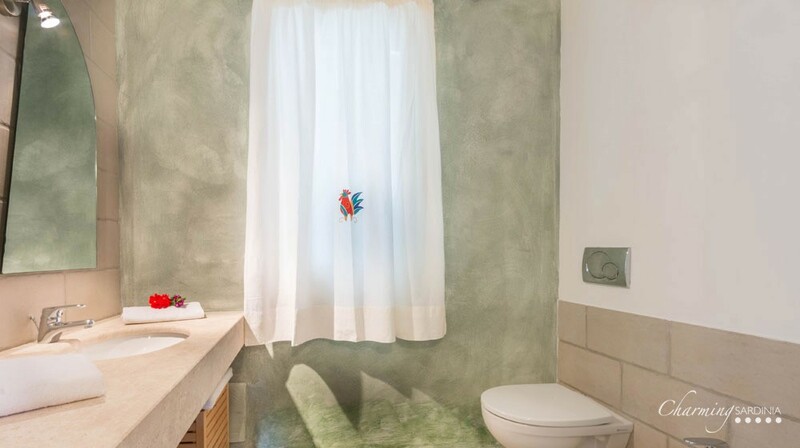 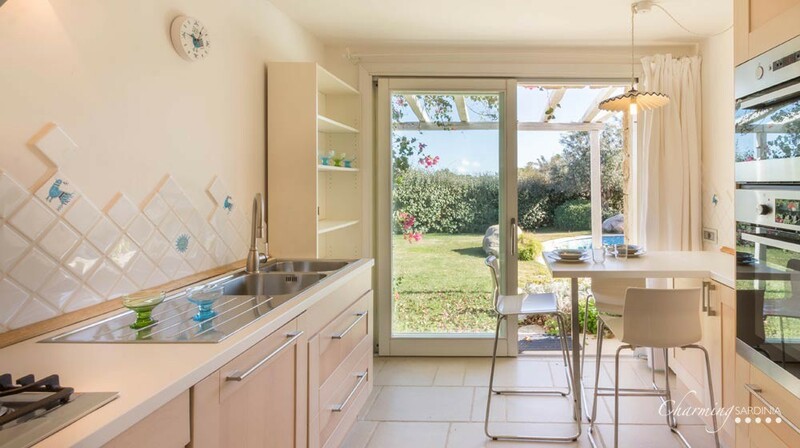 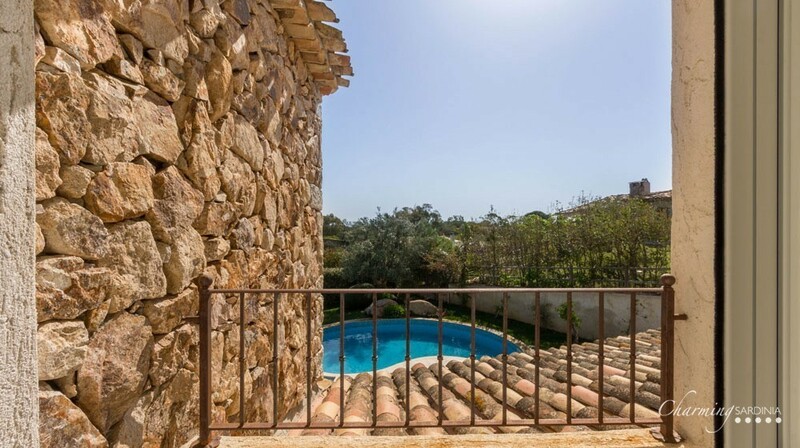 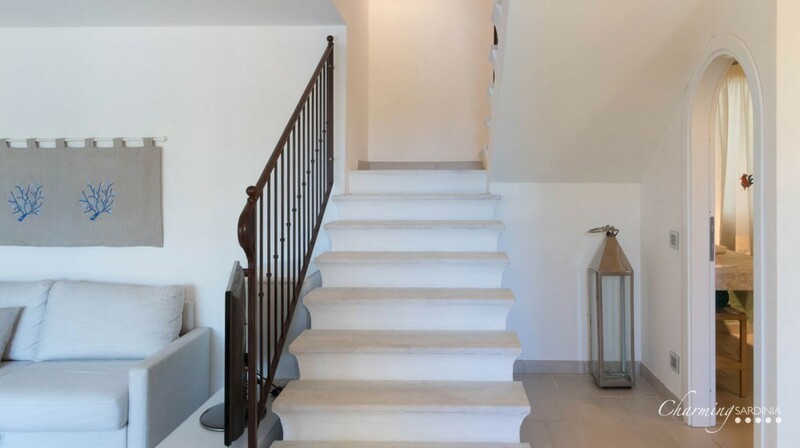 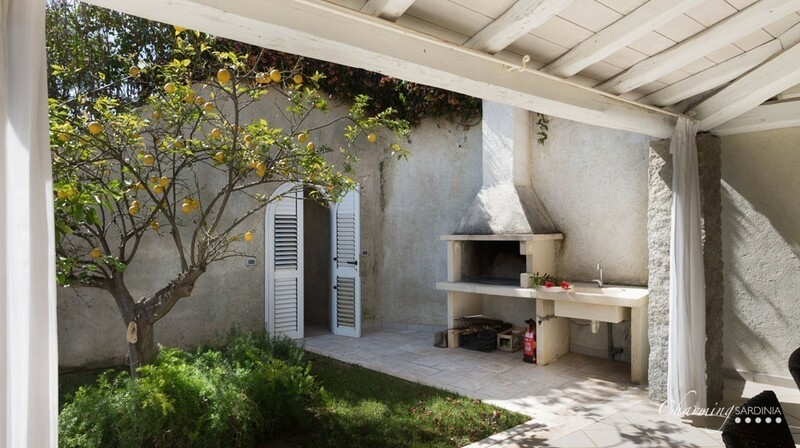 The villa is composed of 2 floors of about 220 sqm where you will have the ground floor with its living room and a sofa bed, an equipped kitchen with a dining area, a bathroom with shower and a dedicated area for the laundry. 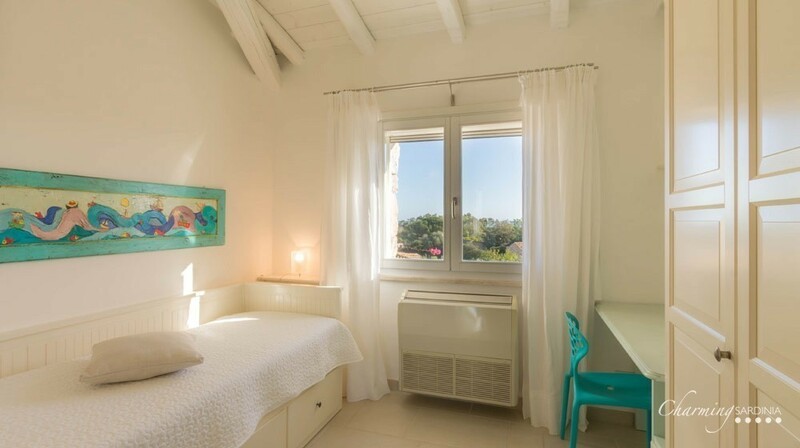 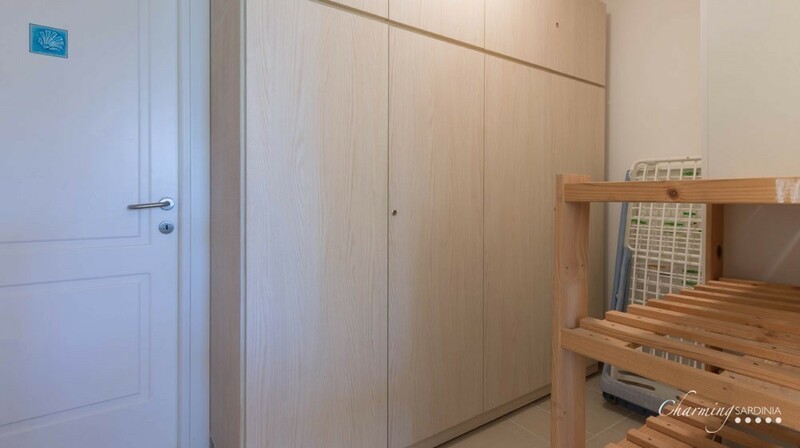 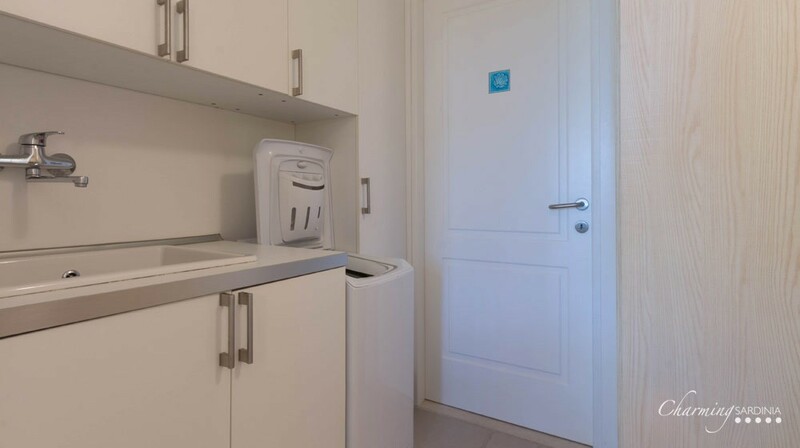 On the first floor there are two double bedrooms, one with its own private bathroom and one single bedroom which can be adapted in double bed. 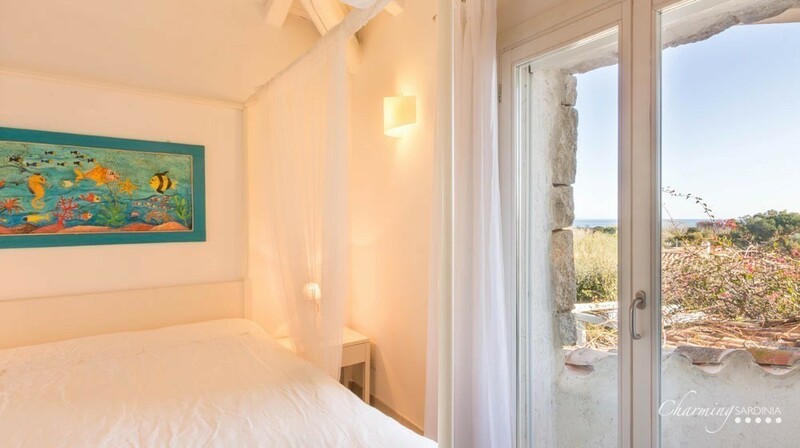 Each room features a small balcony or a window overlooking the sea in the distance and the private garden; you will find a recreational area out there for you to relax on your free time, barbecue grills, a seasonal outdoor swimming pool and a small solarium area equipped with sunshade, sunbeds and a shower. 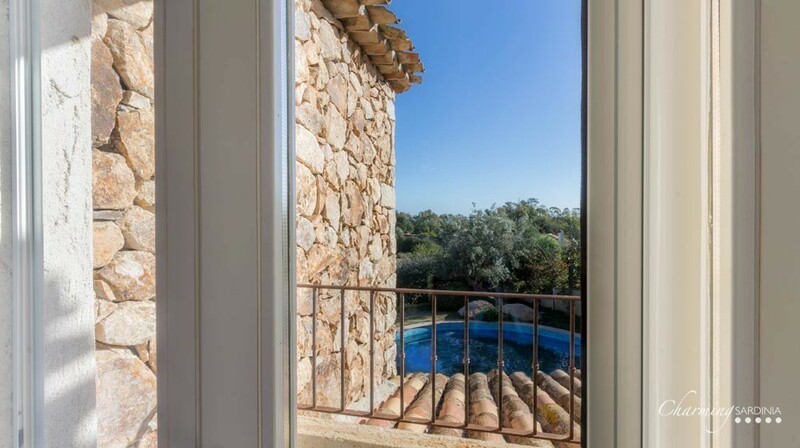 At the back of the Villa the inland stretches all the way down to the valley and painted by the colors of the Mediterranean scrub, goes up to mountain chain of the Seven Brothers, ideal oasis where you can have a walk around the wild nature. 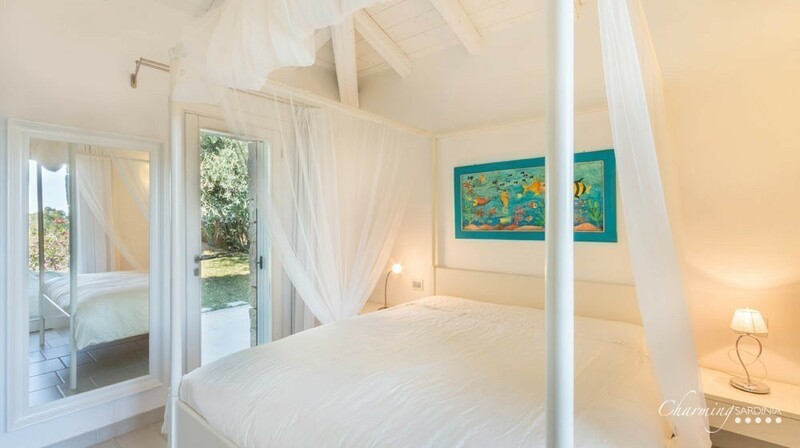 Just facing the Villa, you can enjoy a spectacular view: the sea, which welcomes his guests with the intense blue of its crystalline waters and white sand. 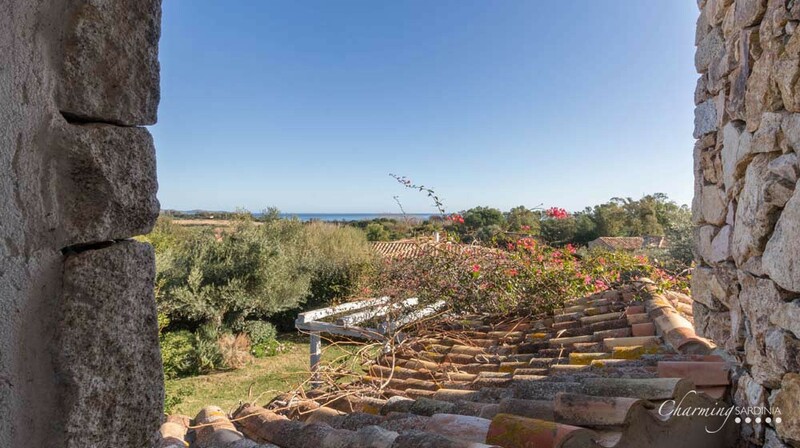 One of the most visited beaches in the whole south-eastern area of Sardinia is the "Scoglio di Peppino", so called because of the presence of a large granite rock, attended by the homonymous fisherman.